If you plant the seeds, your garden will grow. 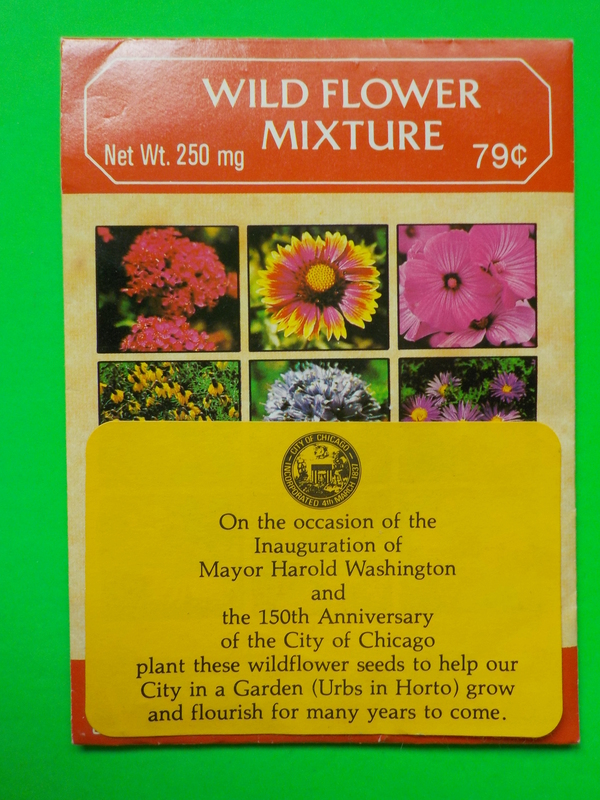 Harold's Inaugural and Chicago's 150th Birthday. 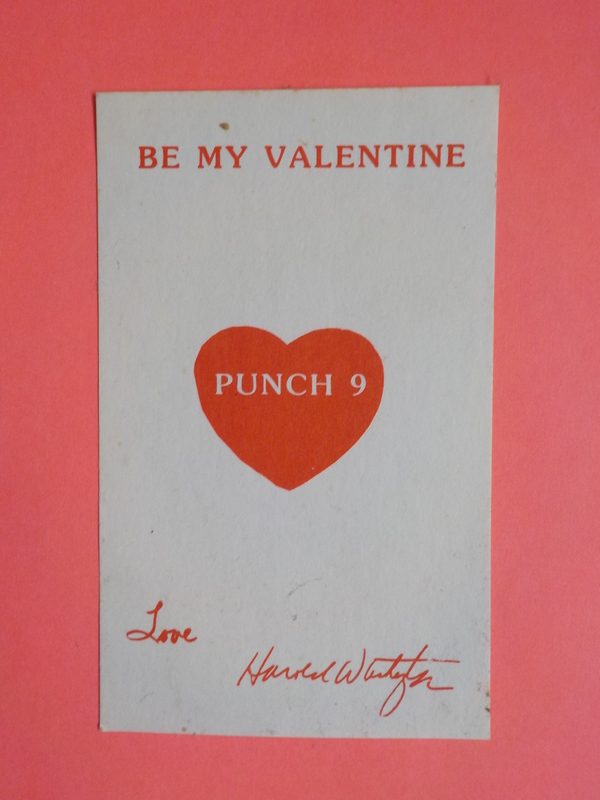 Be My Valentine. Who could resist the guy? 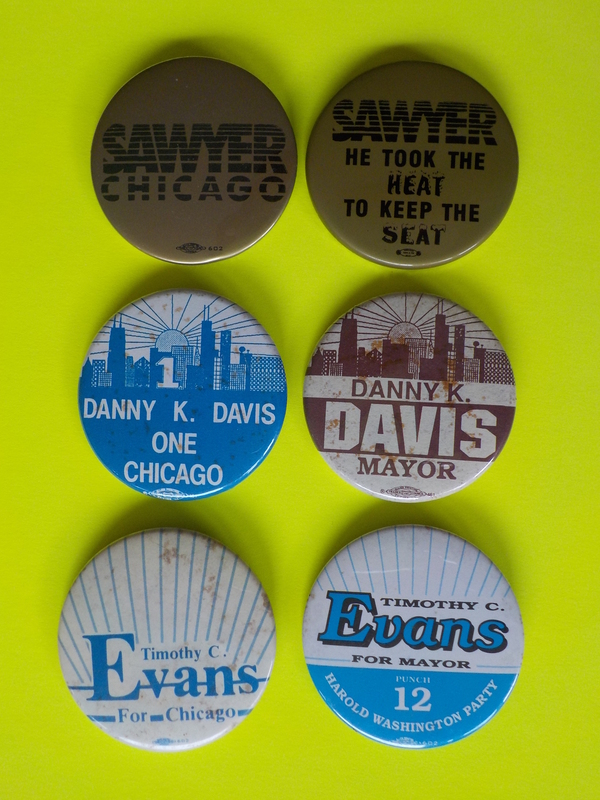 Eugene Sawyer, Danny Davis and Tim Evans all reached for the brass ring. 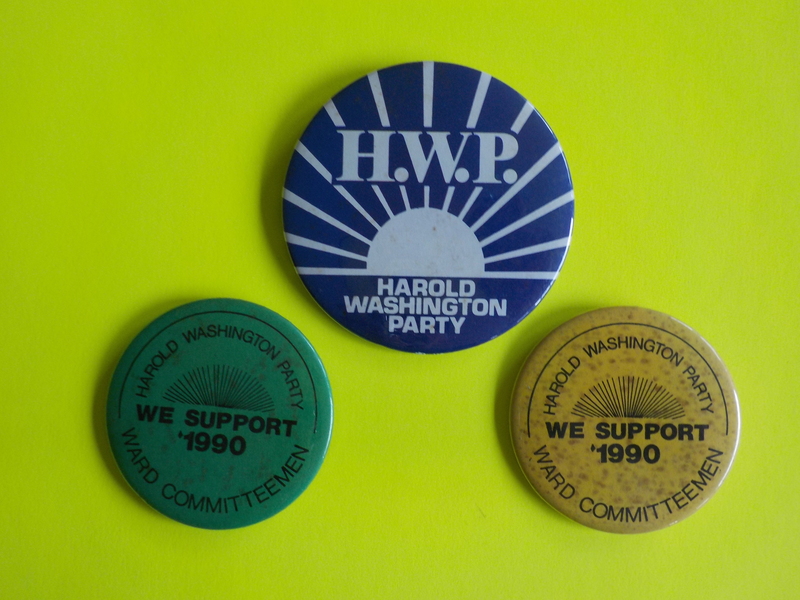 Many tried to assume Harold's mantle and even his name for a party he wouldn't have joined. 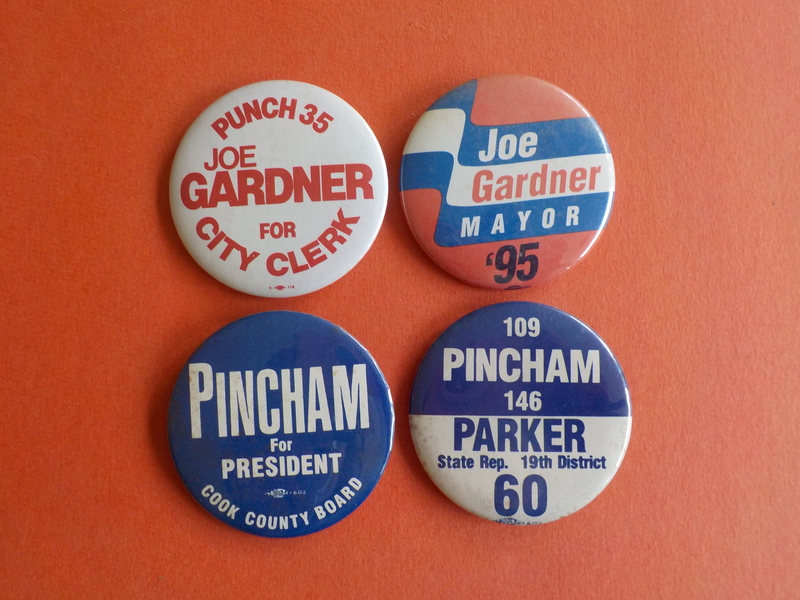 Nameplates from 1983 Mayoral Debate. 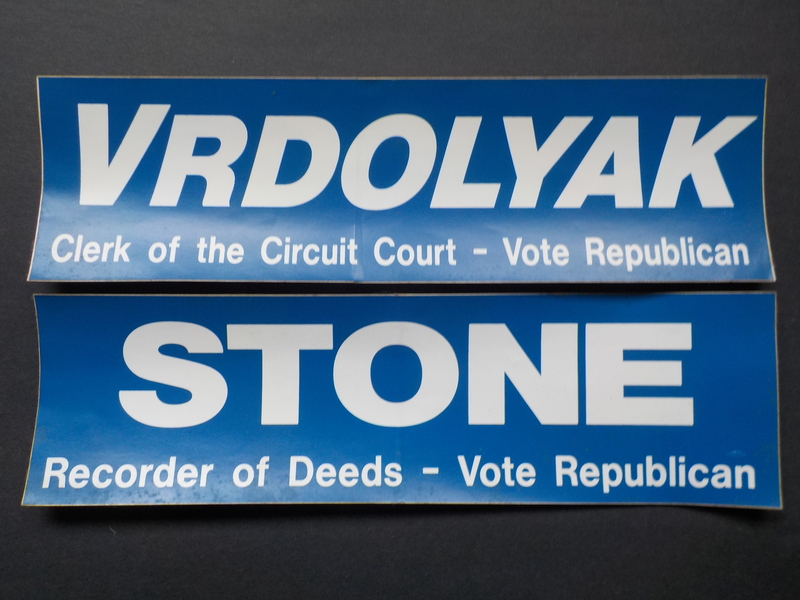 Two Dem Ward committeemen running Countywide as Republicans. 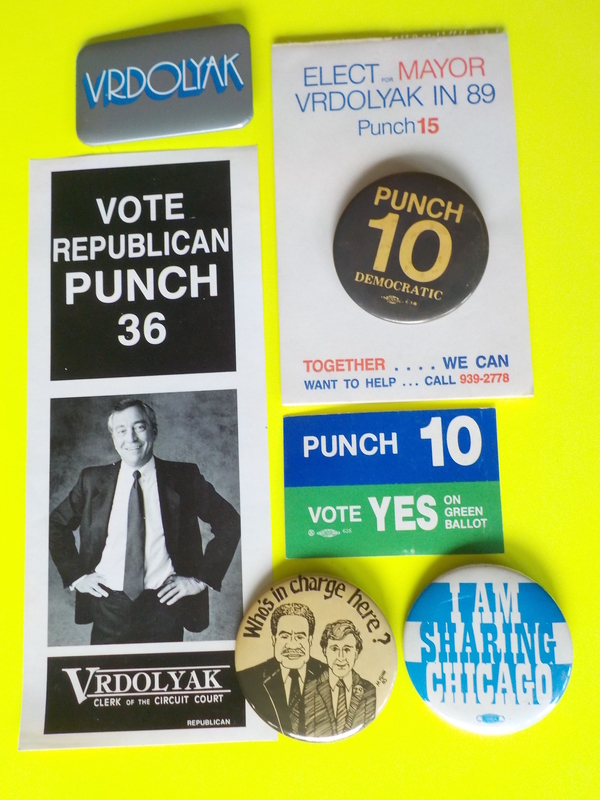 During one tumultuous Council meeting, Ald. 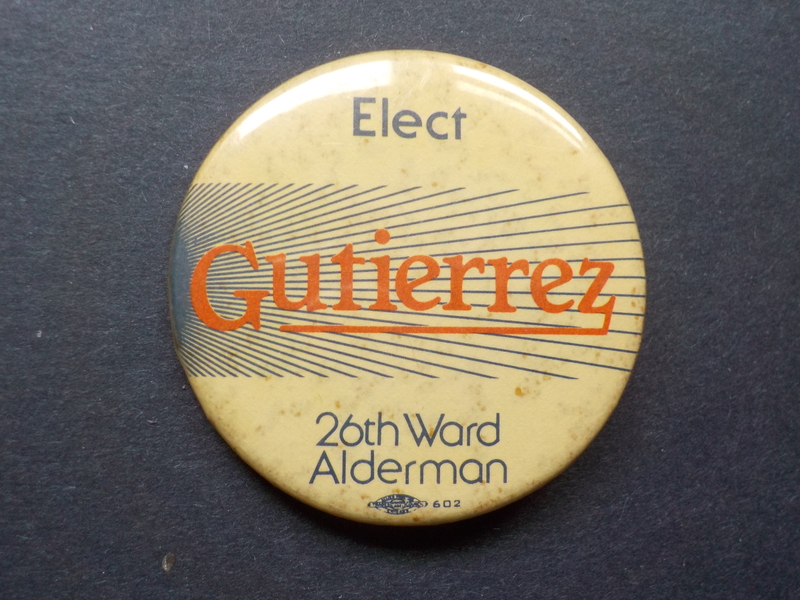 Berny Stone famously called Ald. Luis Gutierrez a "little pipsqueak". During another, Harold told Fast Eddie - whom he called an "antediluvian dodo-head" - he might "get a mouthful of something you don't want". 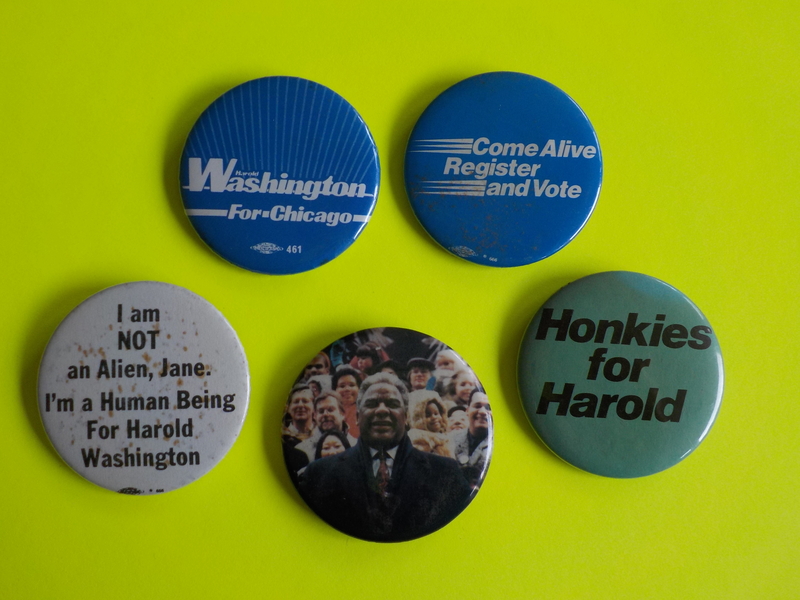 Many exuberant, poignant, meaningful memories of Harold Washington. 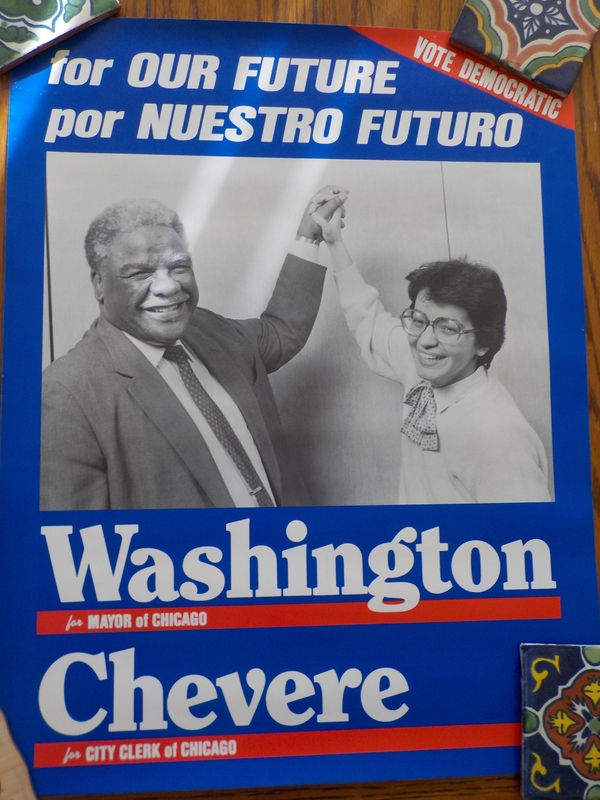 When he was a state senator, I had a chance to work with him on a DC voting rights bill. 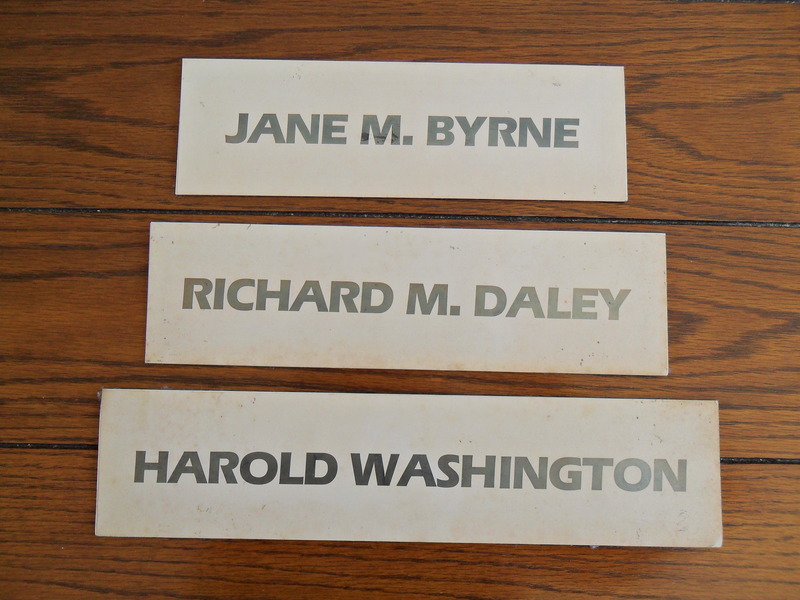 As a sponsor, he was well-read, passionate, adroit. The bill died; Harold was optimistic. 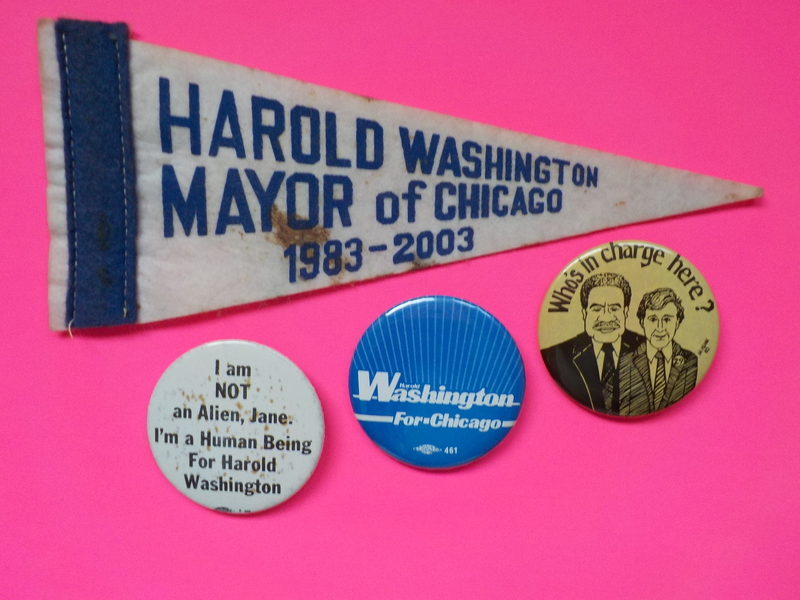 Harold's '77 mayoral was an insurgency with few insurgents. 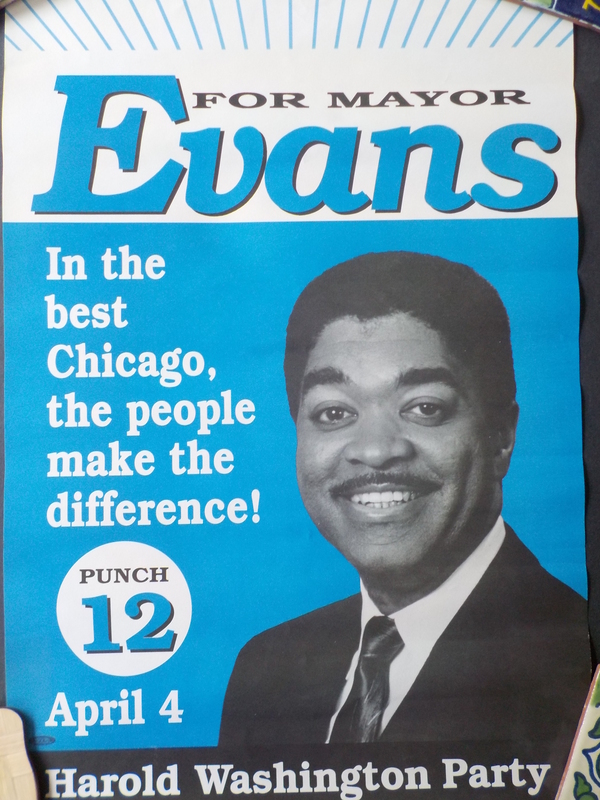 I rang doorbells for him in the Near Northwest Side, but Keane's and Rosty's machines were invincible. 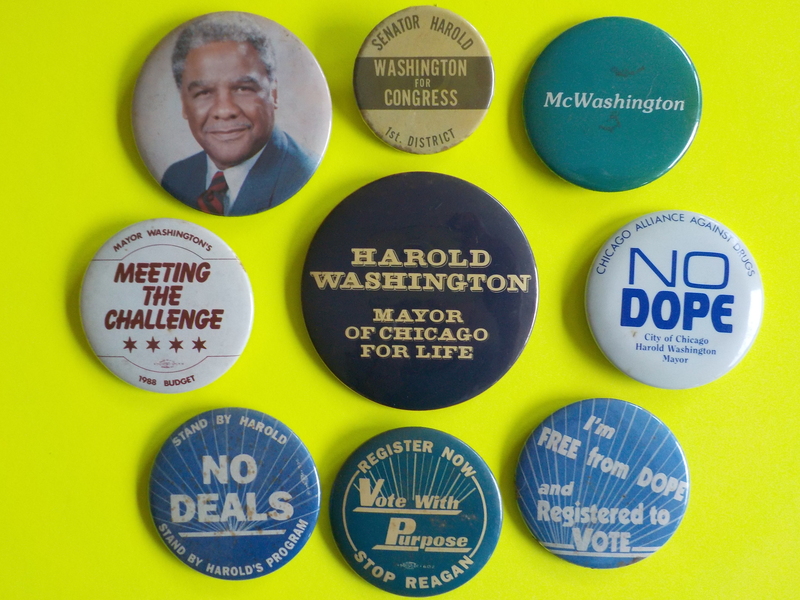 Despite a strong showing in a few African-American wards, Harold was swamped, finishing a distant third. Yet he was optimistic. 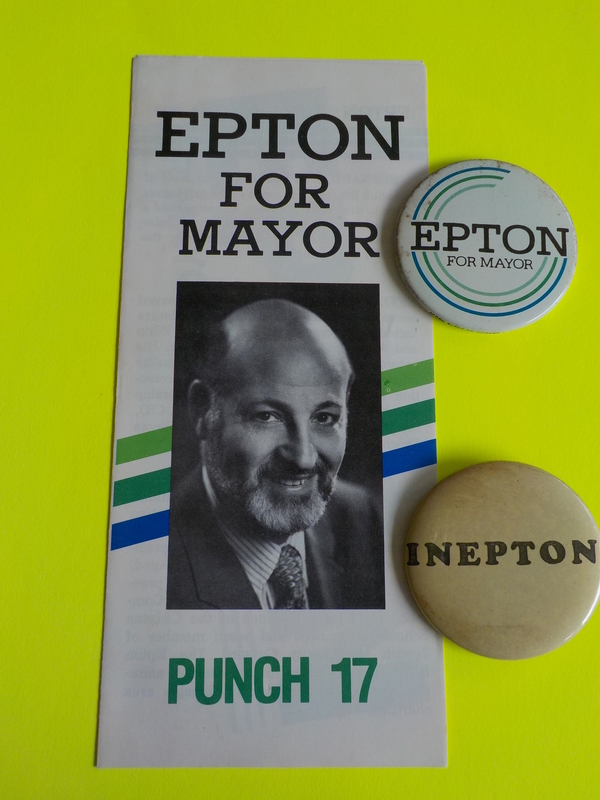 My favorite moment of the watershed '83 primary was on a frigid Rogers Park night in the final days of the campaign, when polls had him in third. 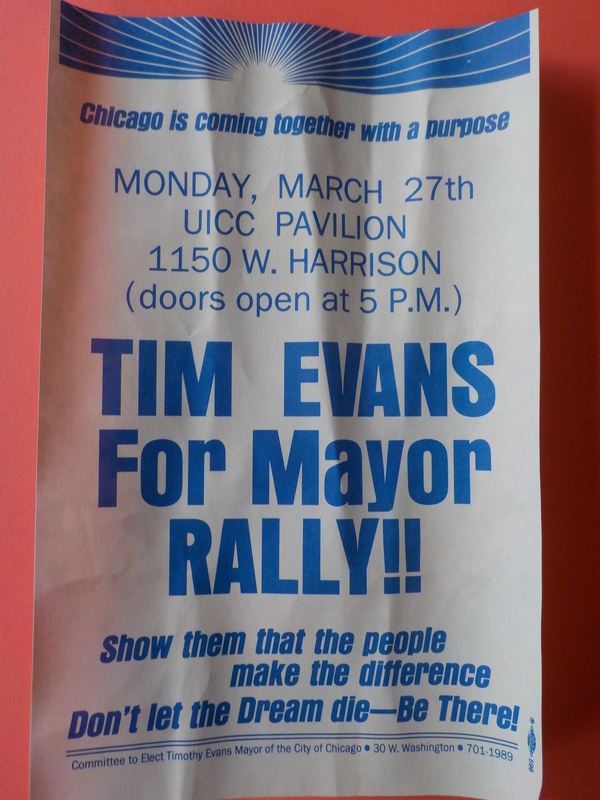 The Heartland Café was jam-packed for a Washington Get-Out-The-Vote rally organized by the 49th Ward progressive cadre (the "Peoples Republic of Rogers Park"), and Heartland proprietors Katy Hogan and Michael James. Music blasting, beer flowing, windows fogged-up, the El careening by overhead. People spilling out onto the brick alley. Electricity in the air as Harold's caravan pulls up in snow flurries. I spot my old pal Mike Evans hopping out with Harold; he's part of the growing entourage. 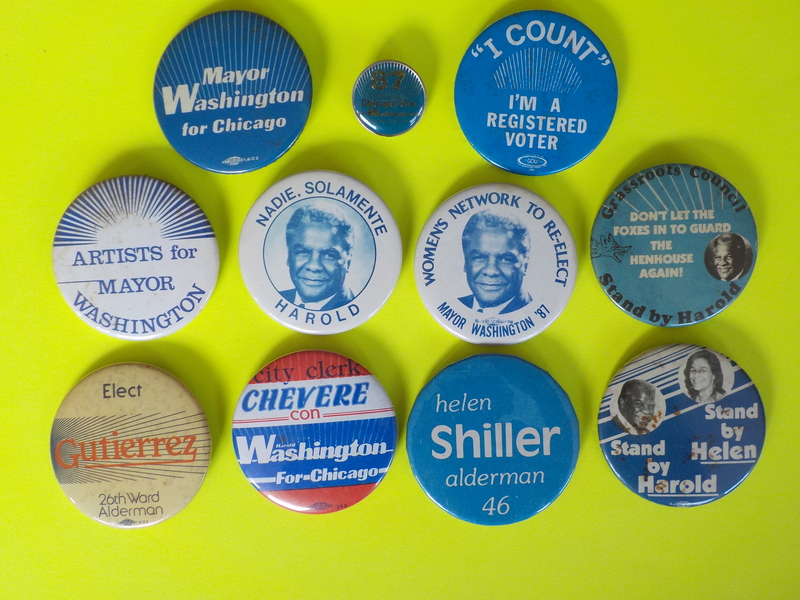 Other lasting memories: the Election Night Victory parties with Feldman (and getting a kiss from a beautiful stranger at McCormick Inn), the Inaugurals, the wake. Seeing my wife speak at Harold's unforgettable Memorial at the UIC Pavilion. 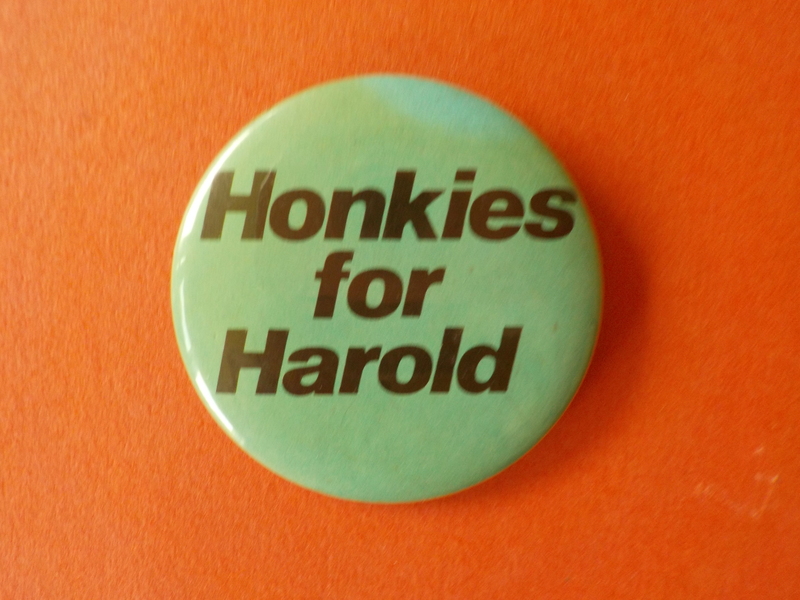 I smile every time I think of him saying stuff like, "You want Harold? Well, you sure got me now!" 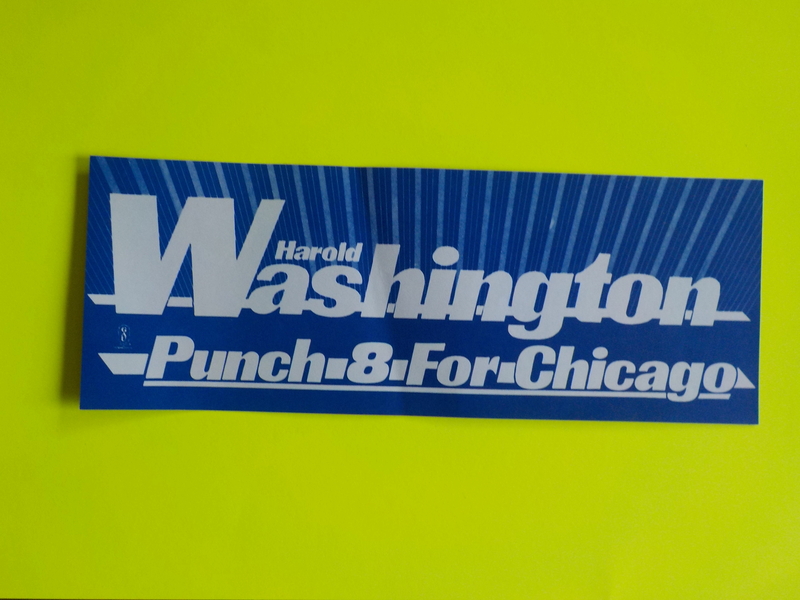 Or "If you go to Zimbabwe and say you're from Chicago, they're gonna ask you, 'Howww's Harold?'"